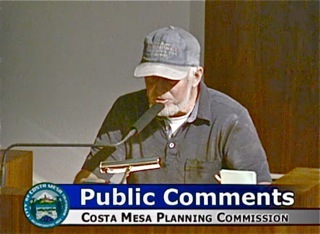 As predicted earlier, the Costa Mesa Planning Commission met Monday night for one of their shortest meetings on record, but still managed to accomplish a lot. The meeting lasted twelve minutes short of an hour, but that doesn't mean there were not some memorable moments. 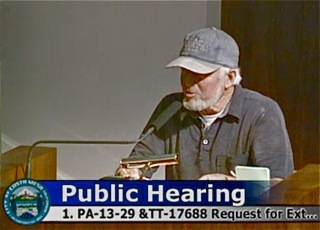 Right off the bat local businessman Tim Lewis stepped to the speaker's podium during Public Comments and told the commission that he has evidence that the applicant in the first Public Hearing for the evening did not have the legal right to move forward with this project because his group didn't hold title to a segment of the property in question. He posed the question, "Did Red Mountain have clear title to the property?". He then gave reasons for denial of this application whichever way they answered - citing false statements made to the City Planning Department originally. 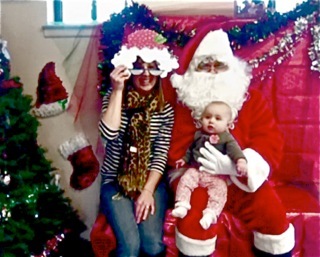 He was preceded at the speaker's podium by Beth Refakes, who presented a slide show of the recent Christmas toy celebration at Camp Pendleton for the children of our adopted unit, the 1/5 Marines, which are currently deployed. 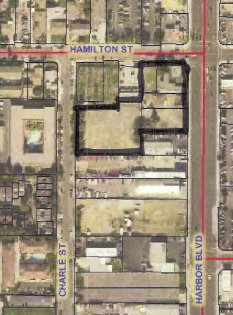 When Public Hearing #1, the above-mentioned Red Mountain project at Harbor and Hamilton, was announced Senior Planner Mel Lee told the council that the staff was recommending continuation of this item. 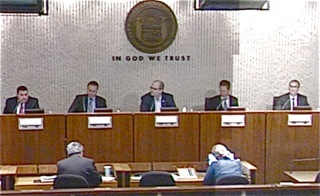 The commission was ready to proceed, but there were speakers to deal with. 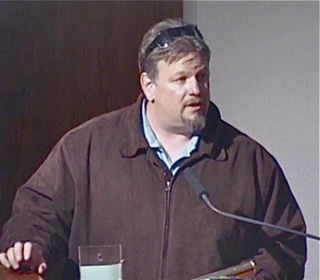 Once again, Tim Lewis stepped up and announced he had a letter from Rose Scott, whom he identified as a geologist from the Santa Ana Regional Water Quality Board that, in response to a request by Red Mountain for a letter in support of their mitigation efforts, said they could not support the current efforts, and that Red Mountain was now out of compliance. Apparently this letter has been provided to the city as part of the public record. Have we mentioned that Lewis owns property contiguous to this project? A "Mr. Cline", a representative of Red Mountain, also spoke, and told the commission that the City has a copy of the letter Lewis mentioned. He then said something I thought was very interesting. He said..."demolition of the building has occurred out there at the persistent request of the Mayor of Costa Mesa - it's down to the slab." So, if we believe this gentleman, our mayor is now micromanaging pending projects in the city! Why is this no surprise to me? At the end, the commission voted unanimously to continue this project until their meeting of February 22, 2016. Public Hearing #2, the proposed reconstruction of Fire Station #1, went smoothly. 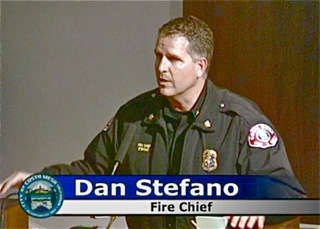 Fire Chief Dan Stefano enhanced Senior Planner Mel Lee's brief report and affirmed his agreement with the staff committee and the public who attended the November meeting at the Fire Station that Option #2 was the preferred choice. Both choices have exactly the same floor plan and facilities - the difference is purely cosmetic. The decision to replace this aged facility was described by one speaker as a "no-brainer". Indeed - I attended the November community outreach meeting. We NEED a new facility. Stefano described it as a "50-year station" - one that will accommodate any anticipated growth or expansion necessary. 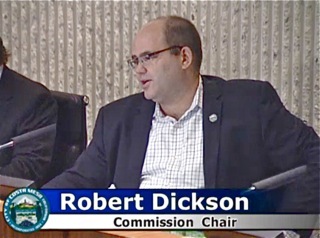 The commission voted, 5-0, to approve it and move it forward to the City Council - with Option #2 as their choice, too. Public Hearing #3, the proposed Small Lot Development at the corner of Pacific Avenue and Wilson Street on the far Westside of town. 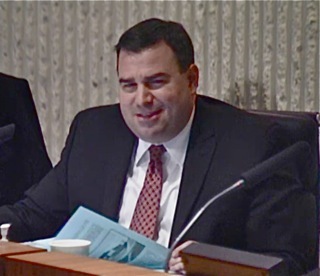 Commissioner Colin McCarthy was almost orgasmic as he described this project. It meets ALL elements of the Small Lot Ordinance and even provides 50% open space! Chairman Rob Dickson shared McCarthy's glee, observing that this project "Hits on all cylinders". The commission voted to move it forward on a 5-0 vote. And that was it. The recently-defoliated Chair Dickson closed the meeting at 6:48 - a very nice change. I'm curious as to why our mayor would feel free to go tell a construction crew how to do a job? Is Righeimer the developer of that project? Quite possibly. Who goes to someone else's project and demands it be done to their satisfaction and at their rate of speed, if its not a developer? Does anyone still think Righeimer does not have skin in this game? You bet he does. The reccent rains left huge standing pools of water on the demolished lot. I wonder if the recently found yellow fever and Asian Tiger skeeters can breed in the water on that contanimated lot. Maybe the water will leach into the subsurface and seep to the soil below the community garden before then. I admire and appreciate Mr. Lewis's persistence and thoroughness. It would be wonderful if he prevails. It wouldn't be the first time that the developers have jumped the gun. Even though the title of Mayor does not give a council person any extra power, many people do not know this. Steve uses this to his advantage to bully people, including city employees into doing what he wants. Another example is his declaring that the city would not tape forums before the council voted on it. Steve/Jim fans think this is great, because he is "doing something" to supposedly improve the city. It matters not that he is going beyond the role of councilman, or if what he is doing is legal or desirable. (DG path) Oddly enough, his fans are the first ones to rail against the President for using executive privilege. Steve seems to think he is wearing a crown. The meeting was only 45 minutes long and yet it is still not posted on the city website. I was hoping to replay the part from the developer of the Pacific Ave. property who I think said something to the effect "we wanted to build something that fit with the neighborhood, not a big ugly box". Was I hearing correctly? He said he wanted to keep in scale with the neighborhood, which is why they didn't want to build 2 great big boxes. Seriously, developers will say anything to get a project passed, then all hell breaks loose. The initiative will not go far enough. A good project is one thing but I'm seeing a major slight of hand. We need to get these guys out of office. Jim Fitzpatrick is something else. It's so telling this buffoon and the way he is making fun of Sandy Genis's wardrobe and style. Has he looked in his own mirror. He called Greg Ridge a loadie. I heard ole Jim hit the sauce pretty good himself. This guy is a disgusting piece of you know what. 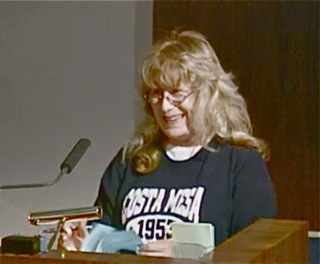 The next time he asks what has Sandy done for Costa Mesa I hope someone reposts the following. I am sure there is much more too. No wonder she received the most votes in her last election and no wonder the attack dog Fitzpatrick and the boys are worried. Thanks for that. Hope someone picks up your suggestion. I presume Jimmy Fitzy is posting on the CMPS, which I cannot see. It would be interesting to see if the moderator would leave that comment up. My guess is not. In 2012 Sandy Genis had a commanding lead of 1,783 votes over Steve Mensinger, and the 3rd seat went to Gary Monahan by a slim margin over John Stephens, just 155 votes.